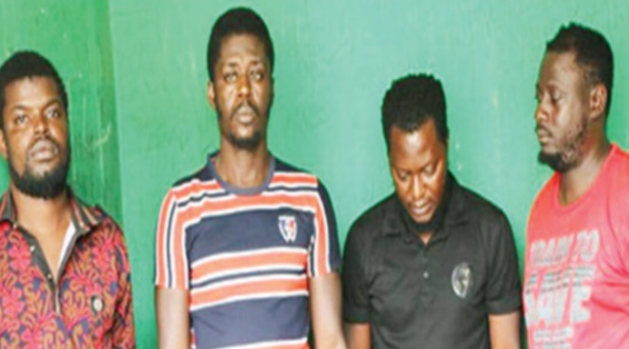 The Lagos State Government on Tuesday re-arraigned four dismissed officers attached to the Special Anti-Robbery Squad (SARS) of the state Police Command before the state High Court. The ex-SARS officers - Sergeants Adeoye Adekunle, Adeniran Adebowale, Agbi Lucky and Odighe Hehosa - were arraigned on three counts bordering on conspiracy and abuse of office. 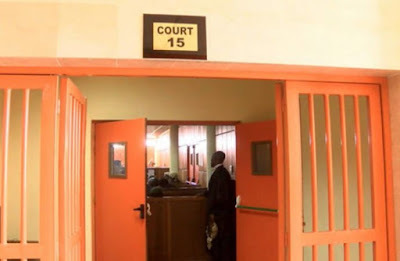 The suspects, who were dismissed based on the outcome of an investigation into a petition written against them by one Mr Chukwudi Odionye, popularly referred to as Bishop, on May 2, 2018, were arraigned before a magistrates’ court on charges bordering on armed robbery, kidnapping, unlawful detention, intimidation as well as threatening violence. Odionye, in his petition to the police, had stated that on June 4, 2017, he was in his house in the Alagbado area of the state when four armed men stormed his apartment to effect his arrest on the allegation of him performing fake miracles. He stated that after his arrest, he was taken to one hotel in Agege, where he was detained and threatened with death if he failed to cooperate, adding that on June 5, 2017, he was taken to the bank, where he was made to transfer N7m to the account of one of the operatives. At Tuesday’s proceedings, the counsel for the ex-officers, A. O. Aguegebobo, informed the court of a bail application he had filed on behalf of his clients. He added that the defendants had been in prison custody since July 18, 2018. The prosecuting counsel, Adeola Odumabo, did not oppose the bail application. Ruling on the application, the presiding judge, Justice Hakeem Oshodi, admitted the defendants to bail in the sum N500,000 each with two sureties in like sum. He added that one of the sureties must be a blood relation of each of the suspects, while the other must be a police officer not less than an Inspector. Oshodi ordered that the defendants should be remanded in prison custody pending the perfection of their bail conditions. The matter was adjourned till October 15, 2019, for commencement of trial.